It’s not often I describe a wedding as fun, usually romantic or intimate but the wedding I photographed a couple of weeks ago was fun, fun, fun all the way. 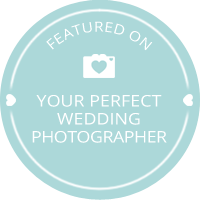 I met Kate and Craig at a wedding fair at the beginning of the year and we clicked straight away – I wanted to photograph their wedding. I say their wedding, they were already married! This was a blessing and celebration for their family and friends who couldn’t be at their small, low key wedding the previous year. Kate is an Aussie and obviously had lots of relatives and mates to celebrate with. They didn’t let them down – the theme was Australian/British with lots of flags, kangaroos and other Aussie paraphernalia at the beautiful relaxed Little Dudley House in Dorking. 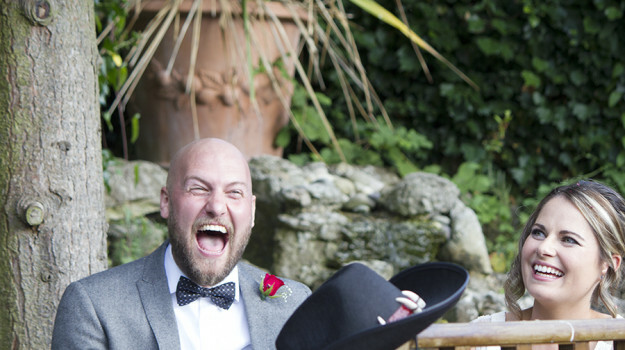 From the hilarious speeches to father of the grooms union jack bow tie to cake cutting, it was a relaxed, fun and personal affair oozing the bride and groom’s larger than life personalities…..